Eeeek it’s finally here – the third and final installment of my 2013 Beauty Favorites posts! So far we’ve talked makeup, skincare, nails and tools but today it’s a whole different story – it’s time to discuss all things hair! If you are like me and you get easily excited by hair care - you’ve come to the right place! So grab a cuppa and dive into my standouts for the past year. 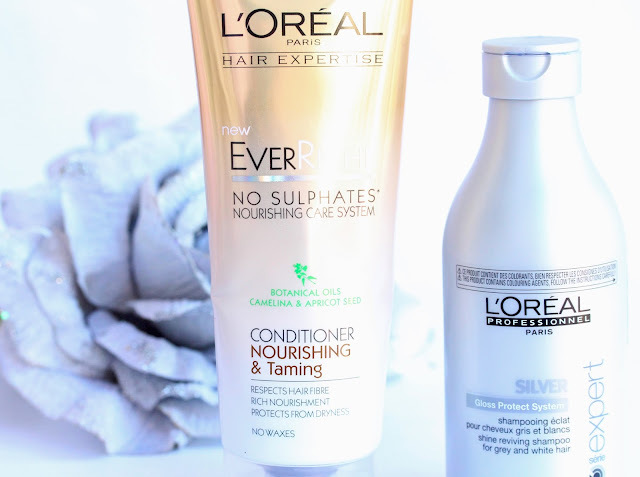 Starting off with shampoo and conditioner, the duo I’ve been loving for the past couple of months consists of L’Oreal Professionel Expert Silver Shampoo and L’Oreal EverRiche Nourishing andTaming Conditioner. Both products are fab on their own but mixed together they work wonders for my hair. If you are a fellow blondie, you know how hard battling those brassy strands could be sometimes. However, since discovering the Silver Shampoo (review here), I can finally kiss goodbye the nasty yellow undertones and welcome defined, ash-y highlights, which look healthy and well maintained. Also, the shampoo clarifies the hair really well and makes it super shiny. One thing I have to mentions though is that is could be a bit drying and here is where the Ever Riche Conditioner comes in. This is by far the best conditioner I’ve laid my hands on. It is designed to nourish and tame the hair and I cannot tell you how much this softens my lock! They get satin soft and silky in literally seconds and my dry, knotty hair is replaced by nourished and healthy strands! Brilliant stuff! When I get out of the shower there are two hair care bits I use every time and I swear by them both. The first thing is the Macadamia Nourishing Leave-In Cream. This stuff rocks! I use it on wet hair before combing through my hair and it helps massively with tangles. It helps taming down the hair and injecting moisture into it as well. After using the Leave-In Cream, I love using some kind of hair oil and my favorite for 2013 was Macadamia Healing Oil Treatment (review here). If you’ve never tried hair oils before you need to get involved with them as they make THE biggest difference in my opinion. This one by Macadamia not only makes the brushing process a child’s play but it also nourishes the hair leaving it soft, smooth and silky. It rejuvenates the locks and makes them all healthy and brittle-free. It also helps with the frizz and cuts down the blowdrying time a bit. Once a week I also like to use some kind of special treatment and the mask I always go back to is Macadamia Deep Repair Mask (review here). If I can urge you to go and buy one hair care product - it would definitely be this one! I don’t have enough good things to say about it, so let’s just say that this gem completely transformed my hair. When I use it my hair gets so soft and silky, it doesn’t tangle as much, and it becomes very elastic and lively. The mask rejuvenates and nourishes my locks deeply and adds lots of moisture and keeps the frizz at bay. Thanks to this gem my hair has grown so so much, my ends and not frazzled and the overall condition of my hair is generally better. Fab innit? You need to go get you some - go go go! You’ve got to protect them locks and as someone who uses more heat than I probably should - a great heat protectant is in order. The lucky winner for 2013 has definitely need to be the L’Oreal Elnett Heat Styling Spray. This stuff gets the protecting job done perfectly whilst helping my hairstyle a bit as well. 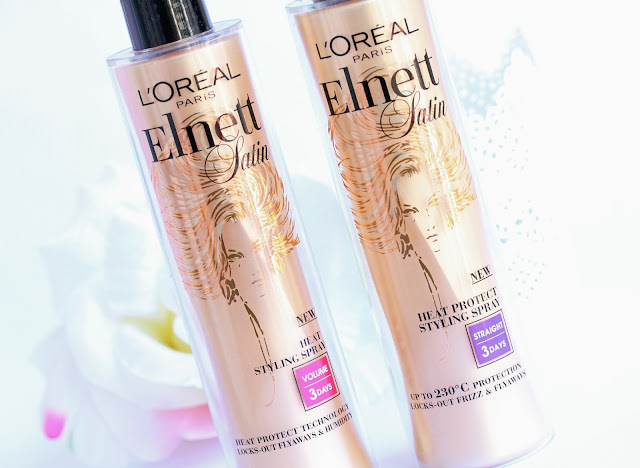 The Elnett Heat Styling sprays come in three different versions. There is one for curly hair, one for straight, and one that adds volume. I have the last two are they are both fab but I use the one for straight hair the most. It really helps my strands stay sleek for the whole day, while offering up to 230° heat defense. The Elnette Heat sprays are also more on the oily side, which is great because the product doubles as hair oil and keeps the hair frizz-free. Hair wise, THE discovery of 2013 for me was the Tangle Teezer Original Detangling Brush (review here). If you have knotty hair you need to get your mitts on this brush – it is downright brilliant! It literally sorts out my snagged, tangle-y strands in seconds without breaking the hair, which has helped my hair grow significantly longer and healthier. The Tangle Teezer works wonders on both wet and dry hair and without any faff – you don’t need to pull or tug the hair as the TT makes it’s own way through the locks, leaving them tangle-free is shiny. Complete lifesaver! Batiste Dry Shampoo. I cannot be without this stuff and believe it or not I currently have nine(!) unopened bottles ready to be demolished. I go through Batiste like crazy because I love using it as volumizing spray more so than as dry shampoo. It does fab job at banishing the excess oil yes, but I just adore the volume and texture it adds to my hair. I just spray some on my roots, really massage it in and I’m left with clean, fresh and voluminous hair, which boosts my confidence greatly. Simples. If you couldn’t tell - 2013 was easily a good year regarding my hair. 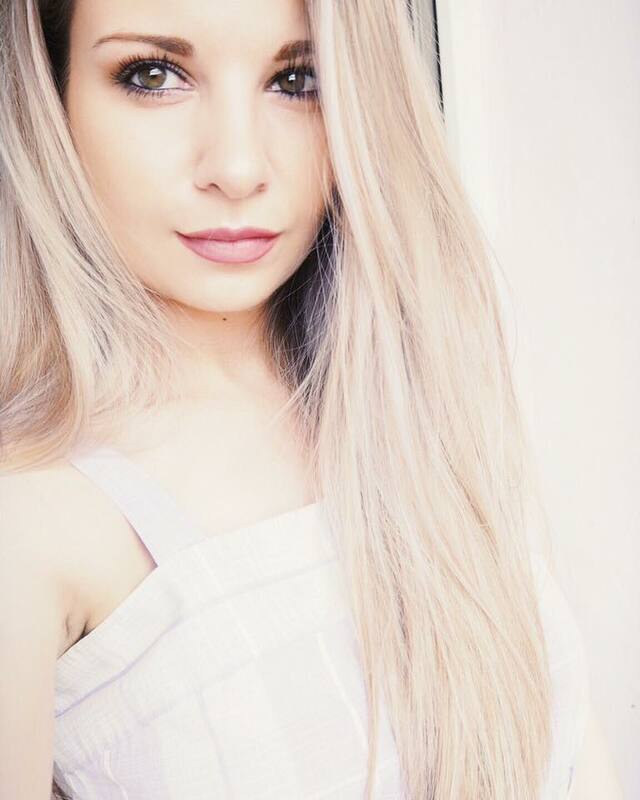 Thanks to those brilliant gems I can finally call myself an owner of long, strong and healthy hair – YAY! I am not a hair care expert but if you have troubled locks – I highly recommend checking these products out because they have proven to work miracles! :) I hope you all enjoyed my little ‘Favorites series’ and now that they are over we can finally look to the future and see what the New Year has in stock for us beauty wise. Who else is excited? 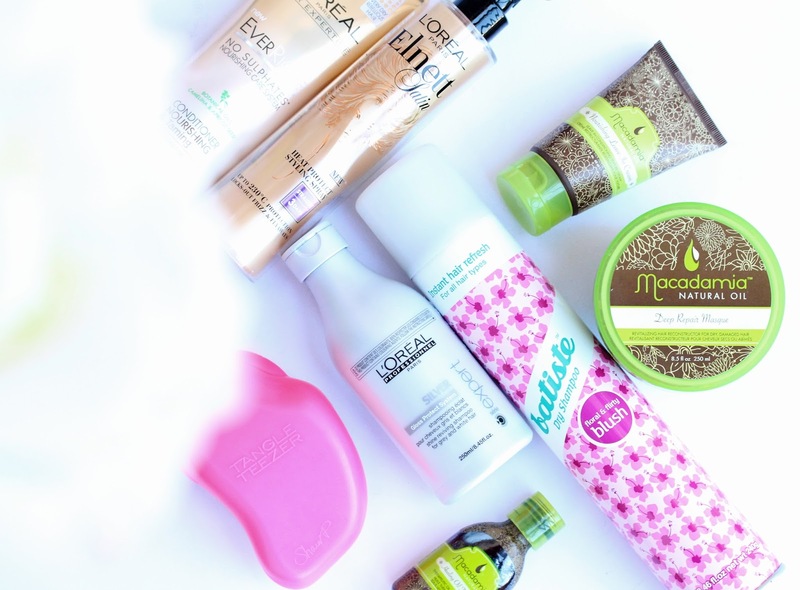 Which has been you top, most favorite hair care product for 2013? The tangle teezer is the best brush I ever changed too! Although I recently got a Tangle Angel and it is equally as amazing and super cute! You should check it out! И аз съм влюбена в сухия шампоан на Batiste. Исках този с аромат на череша, но беше свършил и се обзаведох с този за брюнетки. Много се радвам, че не оставя никакви бели следи в косата. А продуктите на Macadamia трябва да се наканя да ги пробвам. 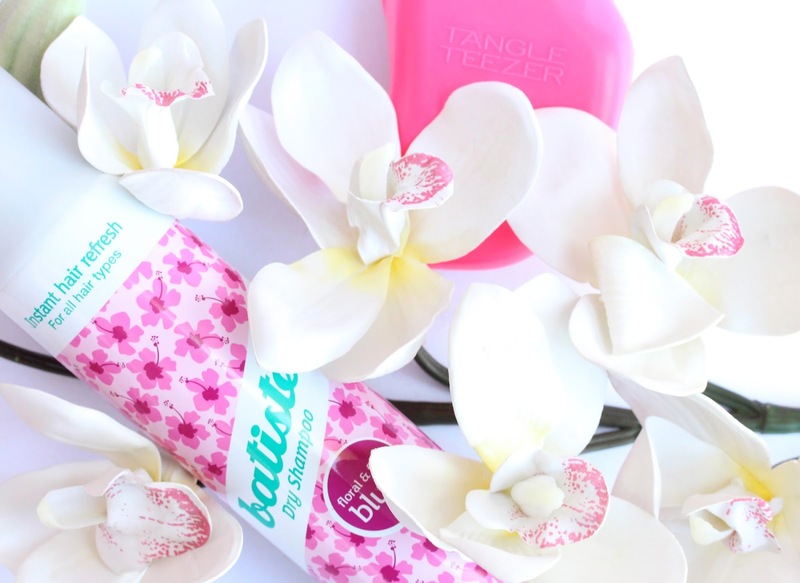 Fab choices, Batiste was one of my best finds of the year! I am rubbish with hair care, posts like this make me want to invest more into and look after my hair more because I know I should! Macadamia range looks amazing, I have heard great things but never personally tired them! The LOreal Elnett Heat Sprays are my go-tos. I absolutely love them! The Tangle Teezer is also a definite must! Love the macadamia range all the products work so well, the hair masque is my fave. i got the deep repair mask for christmas, haven't used it yet. I love pretty much all of the products you've reviewed here, especially the Batiste Dry Shampoo and Macadamia Healing Oil Treatment - my hair would be in dire straights if it wasn't for these two! 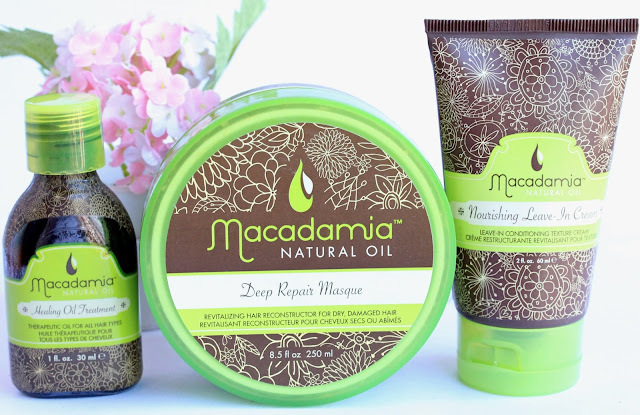 Love the macadamia oil products... so hydrating! Do you think the Batiste dry shampoo woruld work well with curly hair too? I could not be without my Tangle Teezer. It's so good for my knotty fine hair! I've also fallen in love with the EverCreme range this year! (and it smells so. darn. good). I'd love to try some of the macadamia products--glad to hear you loved them enough to include them in this post! I love how you did your pictures for this post! Gorgeous! I adore the Tangle Teezer and L’Oreal EverRiche Nourishing andTaming Conditioner, they work wonders on my hair!